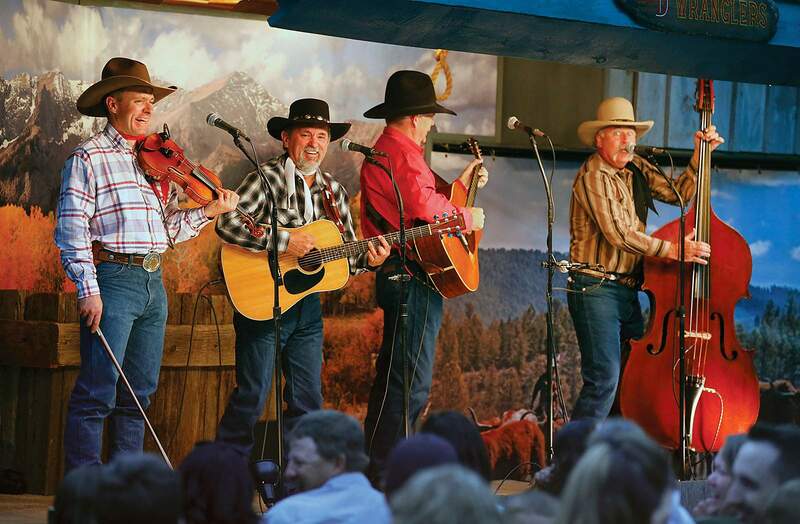 The Bar D Wranglers – from left, Matt Palmer, Richard Espinoza, Gary Cook and Joel Racheff – perform in June at the Bar D Chuckwagon on East Animas Road (County Road 250). The Durango Herald is giving away two tickets to the Bar D Wranglers Christmas Jubilee Dec. 13 at Fort Lewis College. To enter, visit durangoherald.com/contests and sign up for one of the Herald’s email newsletters. The Herald offers a daily email newsletter that is delivered to your inbox each morning, highlighting top stories from the last 24 hours; a breaking news email that is sent when breaking news occurs; and the Durango Diaries email, a weekly update about what free storytelling events are upcoming. The winner of the tickets will be announced Tuesday online and Dec. 12 in the print edition.